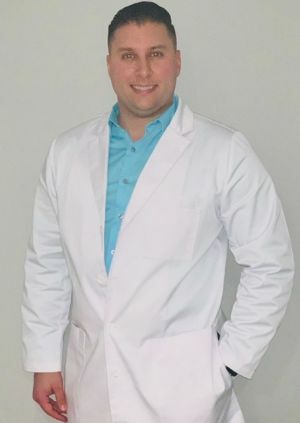 Raymond Odierna is a New York State Licensed Acupuncturist and Board Certified though the National Certification Commission of Acupuncture and Oriental Medicine (NCCAOM). He holds a Masters of Science in Acupuncture from the acclaimed New York College of Health Professions in Syosset, NY. His degree encompasses 4 years of classroom and clinical training in Eastern and Western (conventional/allopathic) medical theory and diagnosis including acupuncture, moxabustion, nutrition, medical message and herbal medicine. Raymond’s passion for treating patients is matched by his drive for exploring new areas of natural therapy. He focuses on mind and body healing by using his training to determine the underlying causes of his patient’s problems. He uses Eastern Medicine techniques to treat headaches, infertility, neurological problems, allergies, skin disorders, emotional disorders, and specializes in muscular and joint pain. Raymond is constantly striving to learn more and grow as a practitioner. He sees his life mission in helping people improve their health and increase their overall quality of life. Picard Chiropractic has been selected as 'Business of the Year' by the Huntington Township Chamber of Commerce! And our Patient's Love Us Too!